so… do you like texas or tennessee better? i’m back in texas for the first time since moving to tennesee in this summer. the answer of course is YES, absolutely YES. i wish i had infinite amounts of time to see everyone and spend time just hanging out… absorbing… catching up… that kind of thing. i do miss my people here. in texas. 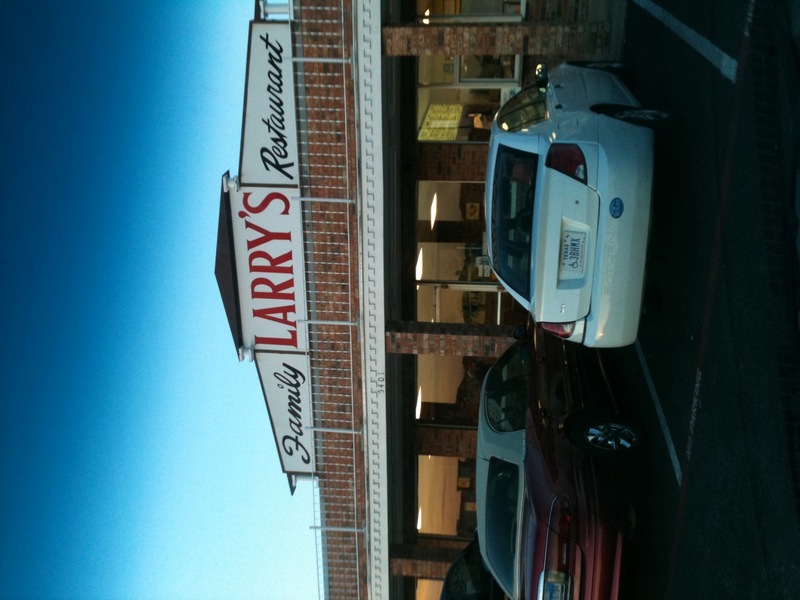 i do miss the memories and laughs…and especially the ice at Larry’s diner. oh, how i love that crushed ice. its ridiculous!! i miss the excellent shopping… the numerous movie places (esp. angelika!!). i miss the size, the options, the big breath between each thing that you see. there is space here in texas. there is room. that is nice. its easy to get lost in the crowd. its easy to keep to yourself if you want too. the places to go are limitless…. if you live here… i know why you love it and you have such state pride, i totally get it. it’s a great place to live. but what i miss is the people, not the state. at the end of the day, that’s all that really matters anyway – people, relationships, loving others, “doing life” ha… i’m laughing at the way that it sounds… but seriously. that’s the deal. thats’ the meaning of life on earth… loving and being loved in return. relating to others. pouring into others, and when you need the refreshment of the overflow it will be there to be poured back out on you… obviously the “meaning to our lives” happens when we worship and bring praise to the God that gives us life. i like anyplace that my people are. my friend rachel lovingood was telling a story last night that was awesome… and convicting… and beautiful!! her son, trevor, is in college at university of tennessee. his philosophy professor recently gave him a zero for plagierism. this was impossible because trevor didnt use any sources. none. he wrote from his personal knowledge. apparently the computer had picked up on content that came from a source… well, the source, you guessed it, was the bible. and not because trevor had taken things from the bible, but because trevor’s thought life and real life are so intertwined with the word of god that when he wrote his original paper… so much of it was straight from scripture. wow… if someone listened to your conversation, read your emails, read your papers, your blog posts … would you be accused of plagierizing the bible!?! sidebar: the professor, who is an athiest, regraded the paper, but took 15% off because he hadn’t cited his source originally… so trevor got an 85%. long hollow women are doing a one year chronological read through the bible discipleship starting in january… its called THE WHOLE TRUTH… i’m pretty sure this is a discipleship opportunity that trevor would’ve said yes too. Tonite we did something new in treehouse. new for me, anyway… and to tell you the truth… i wasn’t sure how it was going to go. i had high hopes. i had great expectations… and then i had kids who cant really read very well… reading the lines i had so carefully and prayerfully crafted. we ran a 3 scene, 13 character show… with only one actor. (narrator). the remaining parts were played by kids from the audience. the peanut gallery were given chants, motions and actions to create participation with the audience. the oldest boy in the room told the teacher “IT WAS AWESOME”. 1 – good, that’s a good goal, to keep it interesting. i’m glad to name it. whew. praying that kids will crave the gospel, and that i will not stand in His way…thankful i’m allow to be his vehicle sometimes. lately i have heard more about adoption than i have collectively in my entire life. i think it started when my friend ande underwood started sharing with me about his plight to rescue orphans in the ukraine. his ministry, skills for orphans, equips unadoptable orphans that will soon be fending for themselves. 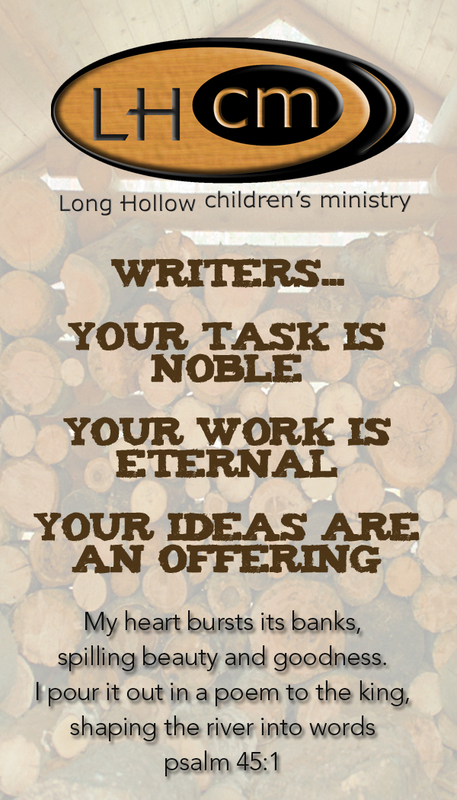 it is a crucial and vital ministry. people who are adopting from all over the world… these are not people that can’t have children, these are largely people who have a burden for the orphans of the world and are convinced that God is compelling them to be part of the solution. then i went to a church service at Christ City Church in Birmingham where i heard the testimony of rudy nasser, a 14 year old boy who was adopted from guatemala at the age of 6… it was intense. the message that day was about adoption being a vertical experience first, that leads to a horizontal relationship here. the speaker, david nasser, contended that adoption is even more crucial than salvation… for it is adoption that makes us co-heirs with Christ. this thought has pricked my heart and brain. i’m grateful to be adopted by the God of the Universe. i’m grateful to be in a place where missions and the plight of the orphan is a legitimate budget item. i’m grateful that my church is doing a single mom’s blessing event this weekend. i designed this graphic for a couple that are going to be selling these tshirts to raise money for their adoption fund. 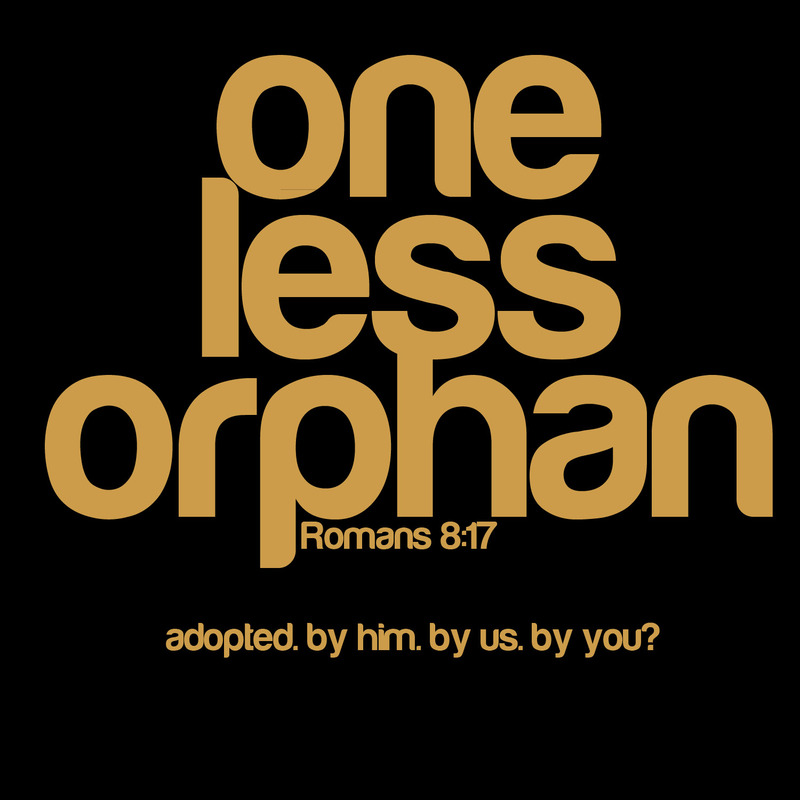 in the process, i’ve come up with a few other designs… and sarah challenged me to make future orphan and adoption tshirt designs available. let me know if you need a shirt design.